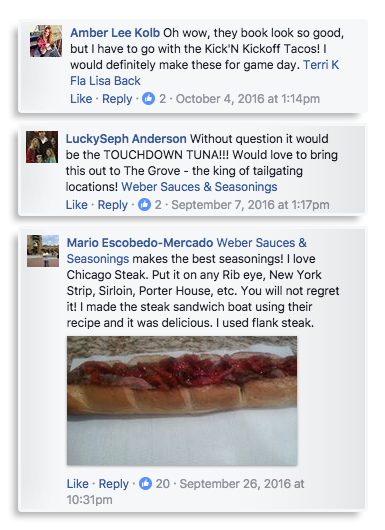 This content is © 2018 Jack Liebl | All rights reserved. 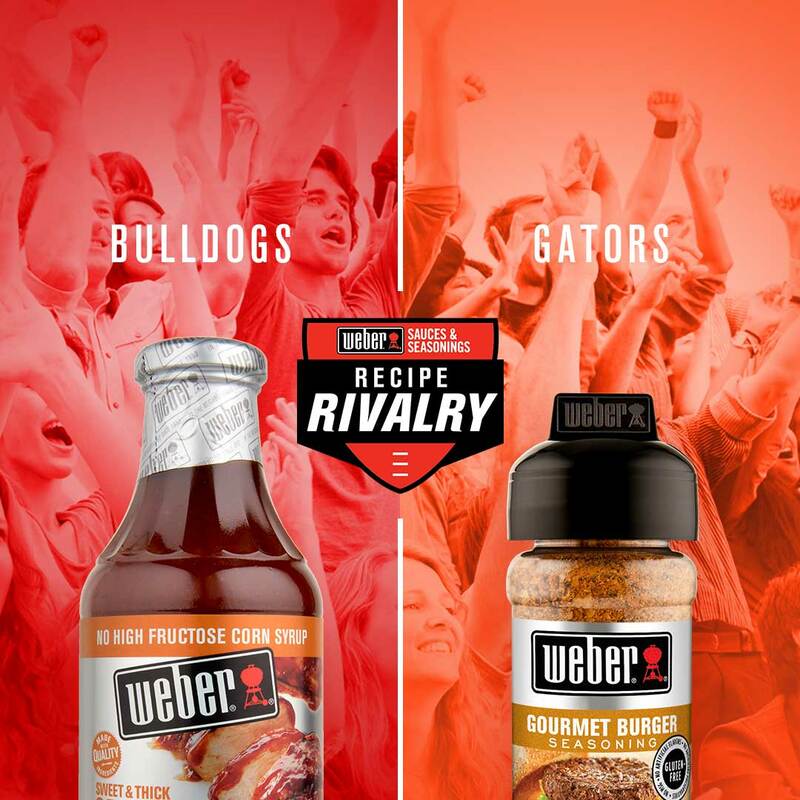 The unrivaled expert in grilling ignites fan passion and brings big flavor to game day. 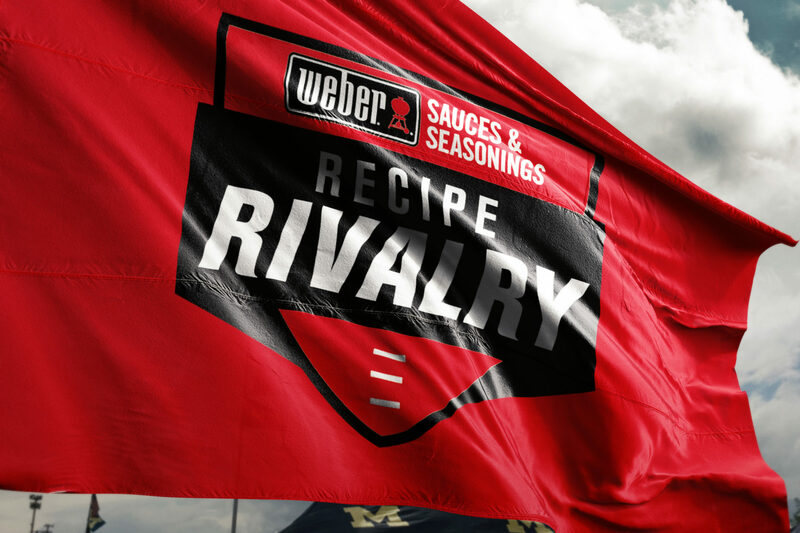 When Weber Sauces & Seasonings wanted to motivate tailgating consumers to trade up from salt and pepper, they focused on the moments when flavor matters most, big games—specifically rivalries. 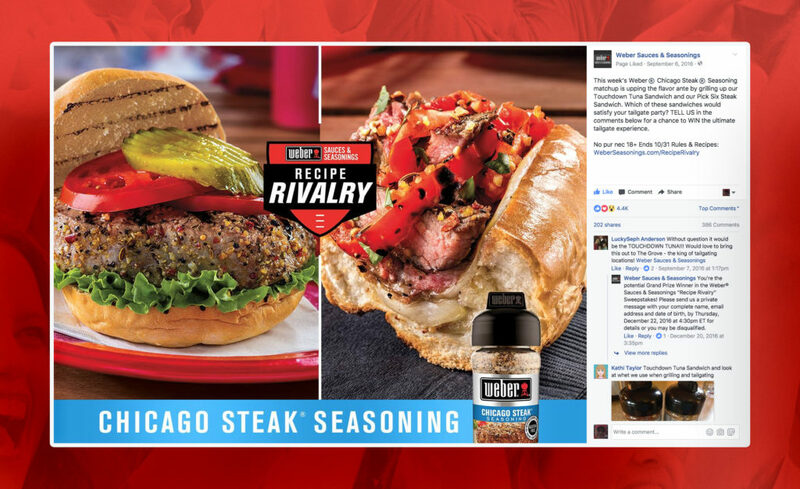 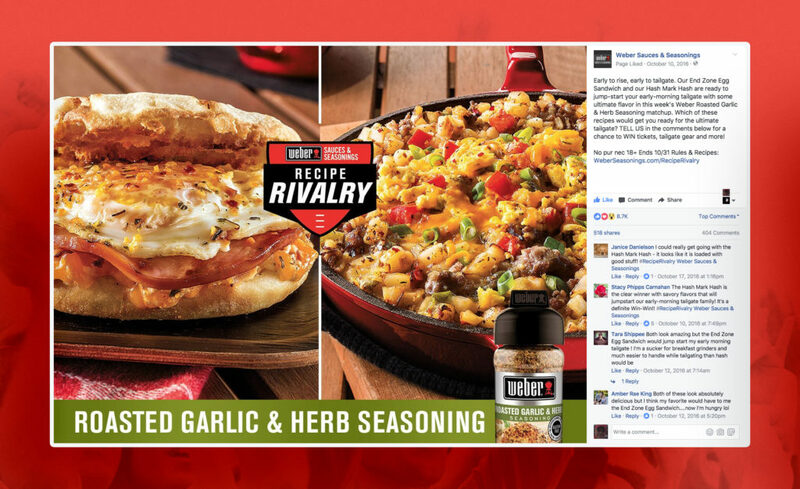 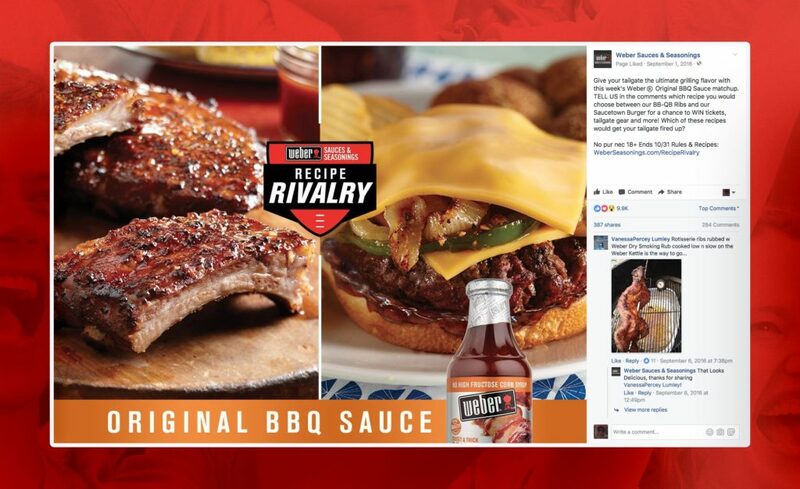 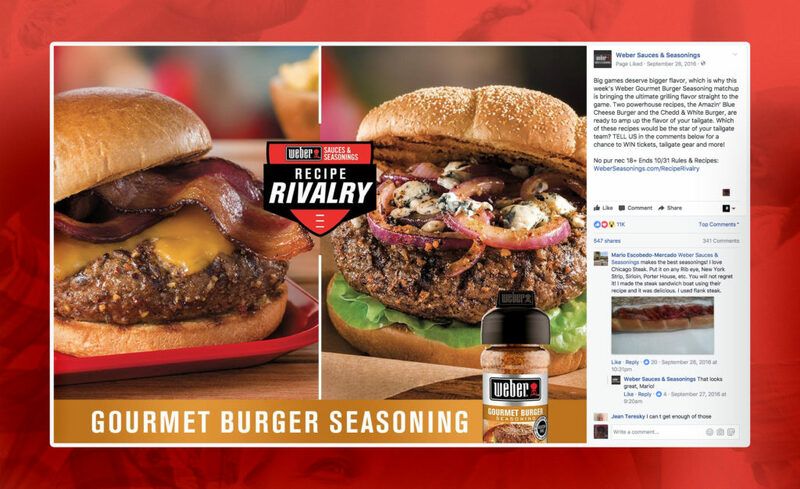 The brand reinforced the importance of great grilling flavor with Recipe Rivalry, an eight-week promotion that leveraged consumers' passion for both the Weber brand and some of football's most exciting matchups. 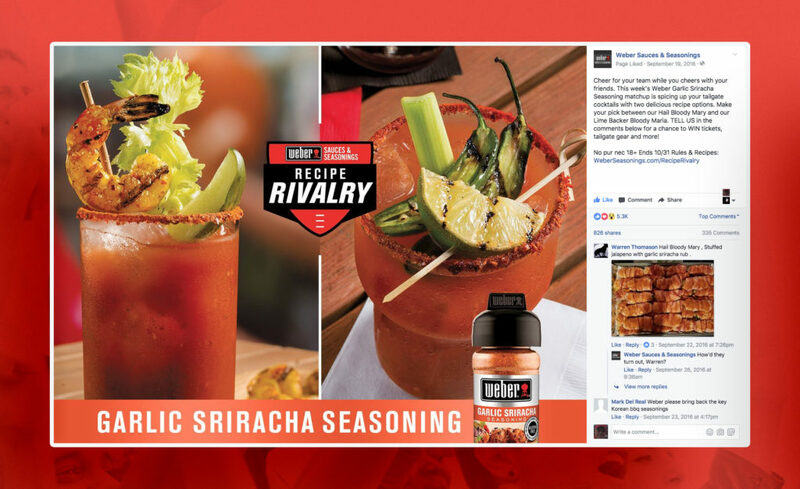 Each week, two recipes engaged in a flavorful head-to-head battle. 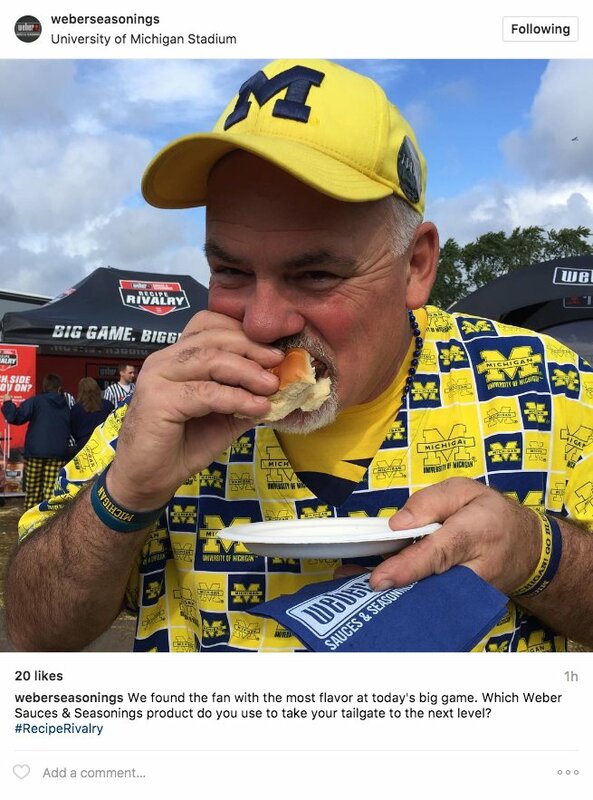 On the line? 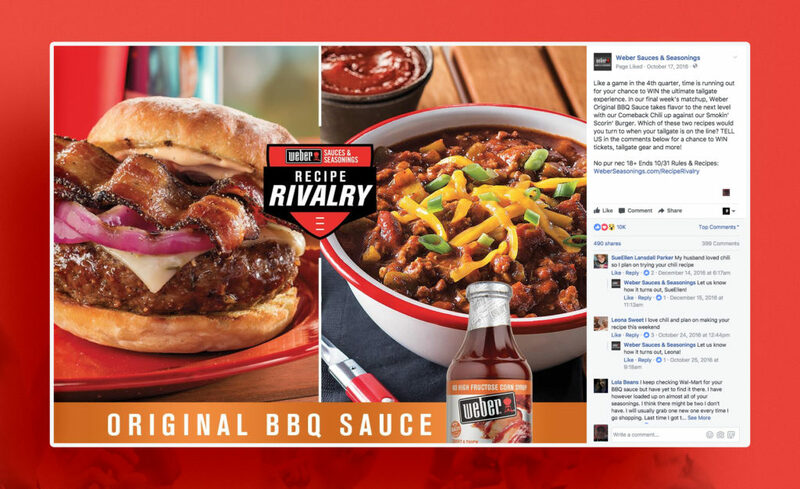 Dozens of prizes and the unrivaled passion of Weber Sauce & Seasonings' flavorful fans. 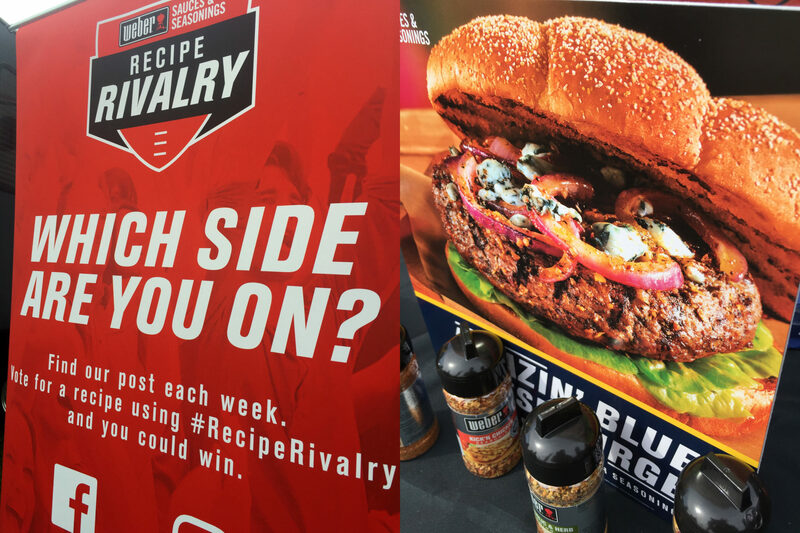 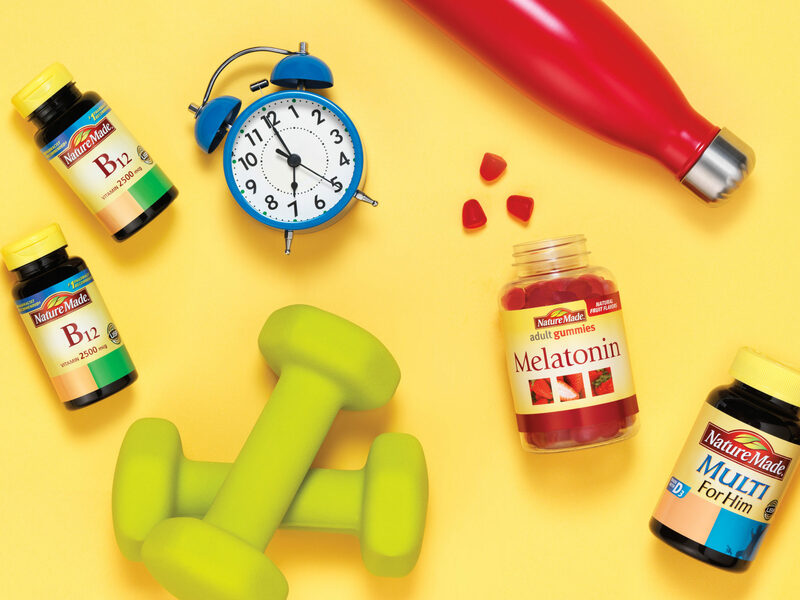 Weekly matchups featured a variety of the brand's most popular flavors and recipes specially created for the promotion. 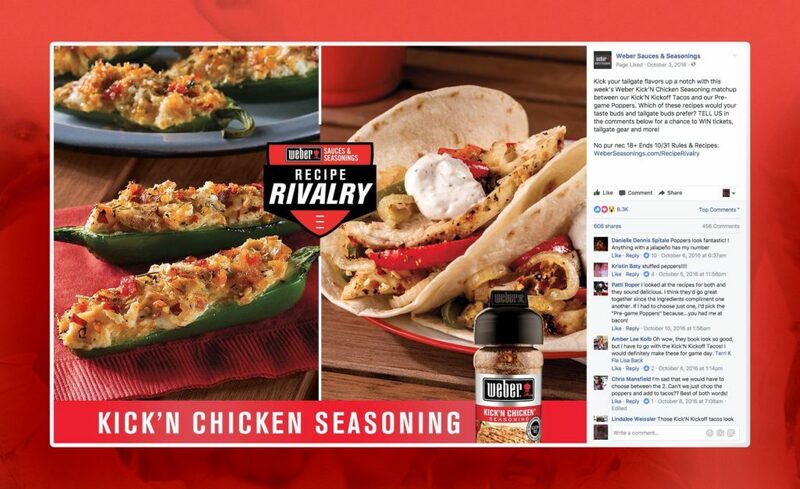 Fans and followers cheered on, telling the brand which recipe most made their mouth water. 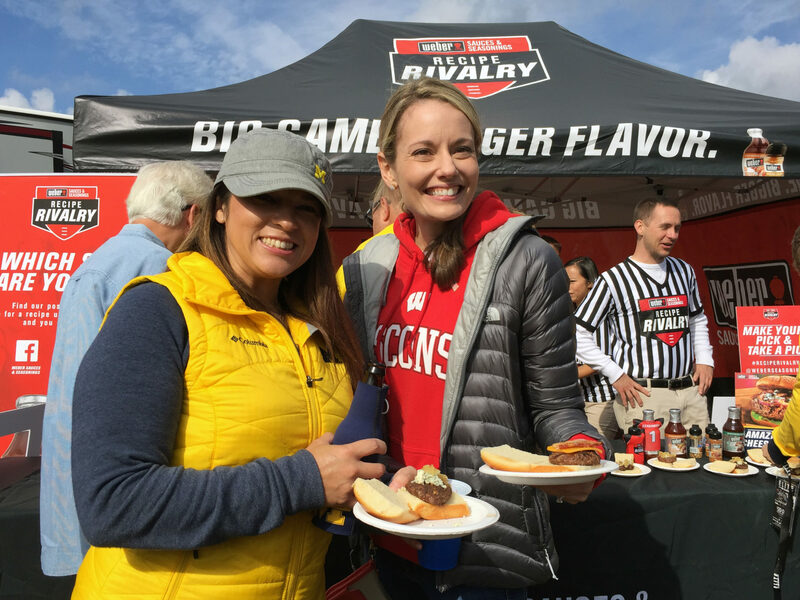 One lucky fan won an unforgettable tailgate experience and tickets to see their favorite college team play their biggest rival. 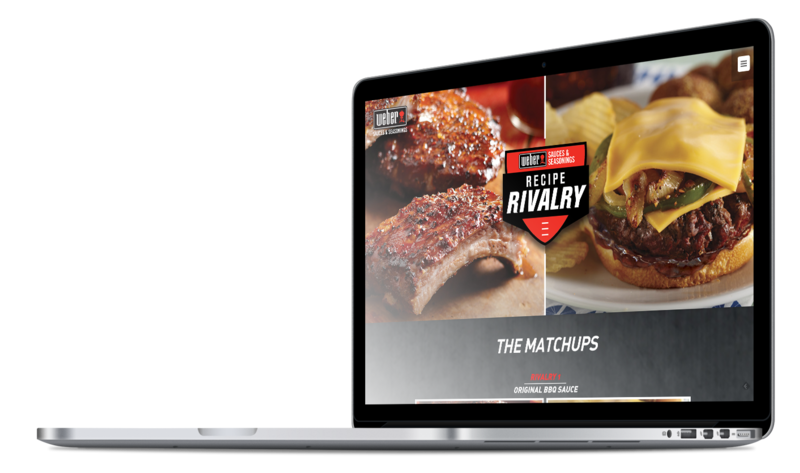 Big games deserve big flavor, so the brand traveled to some of college football's most exciting venues, like the world's largest tailgate for an exciting matchup between Georgia and Florida and the "Big House" in Ann Arbor for a pivotal matchup between two top ten rivals—Wisconsin and undefeated Michigan. 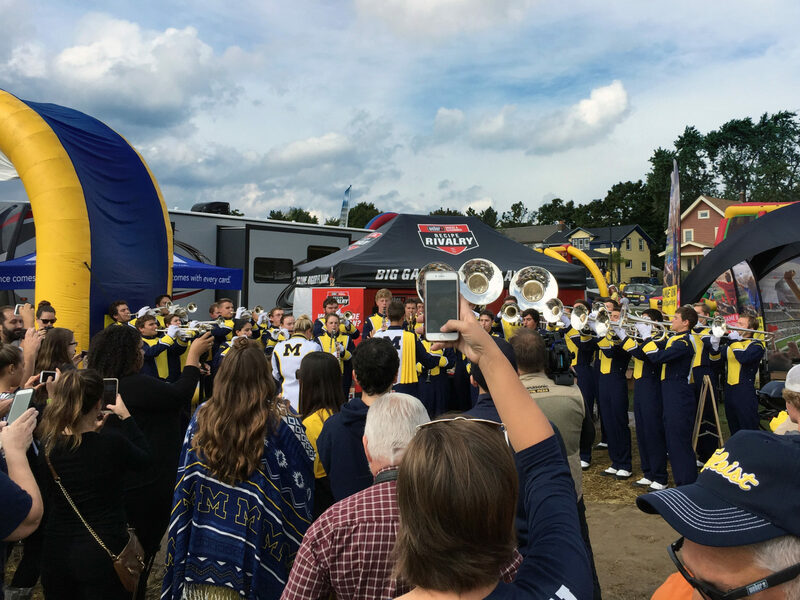 Fans at home could follow along on Facebook Live, catching a special performance by the University of Michigan Marching Band before kickoff. 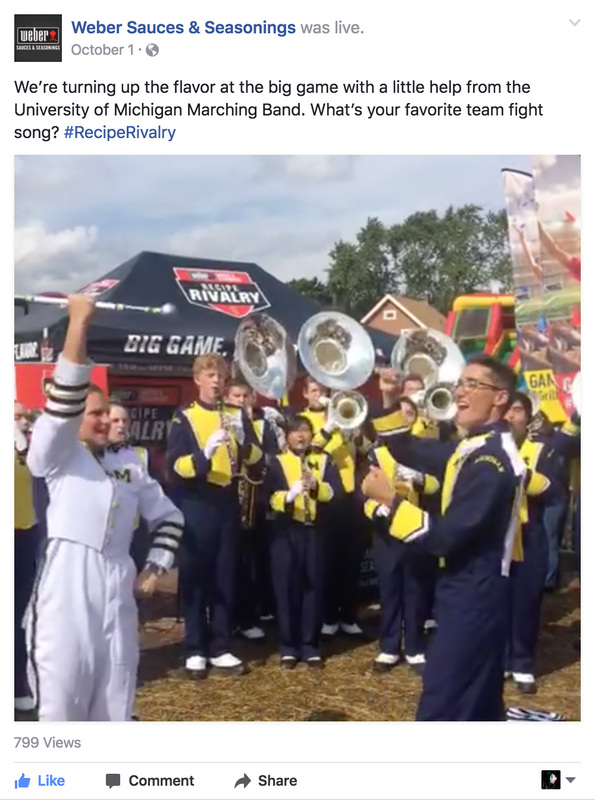 Fans at the game captured and shared the performance on social networks, securing additional impressions for the promotion and brand. 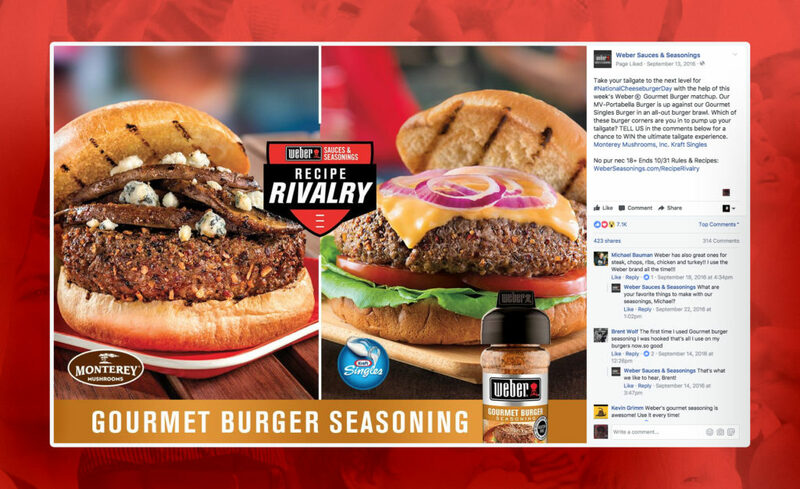 Brand ambassadors fired up the grills and gave fans the choice between two burgers seasoned with Weber Sauces & Seasonings Gourmet Burger. 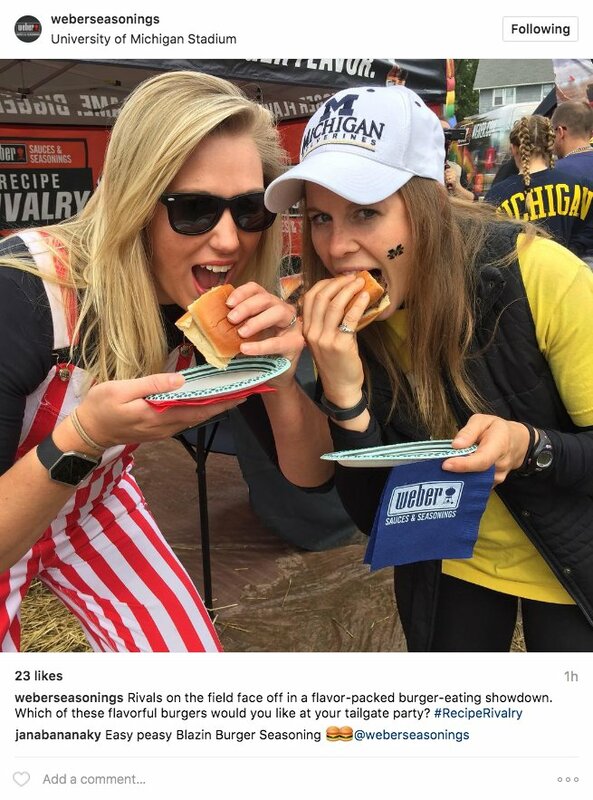 Yes, one of them was topped with Wisconsin Cheddar and another with Michigan-fan-approved Bleu Cheese. 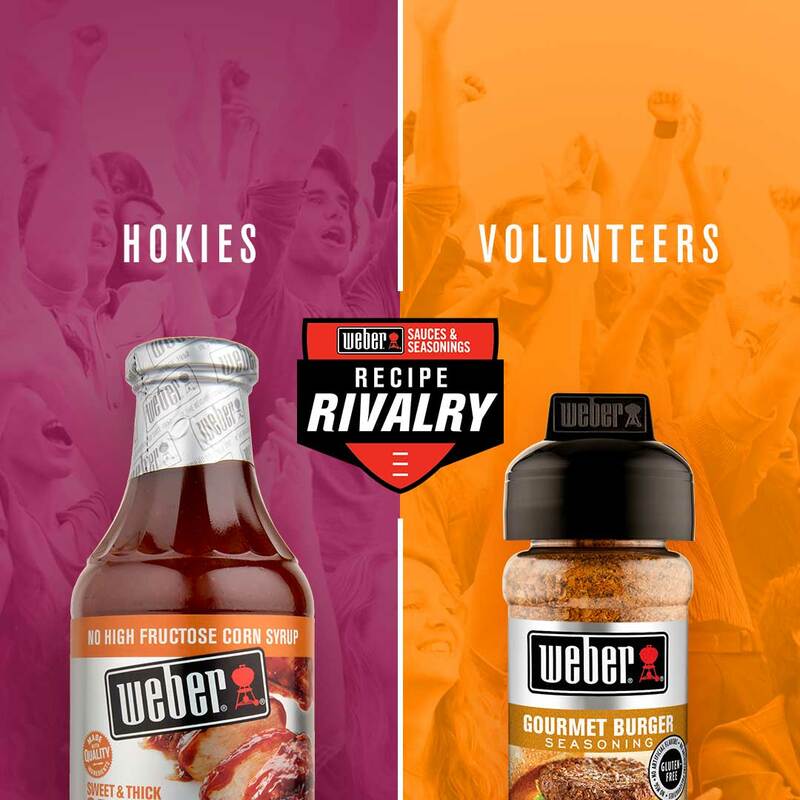 By pitting the brand's best tailgating recipes against each other, Weber Sauces & Seasonings found the point where consumer passion for sports and grilling meet, helping them understand that when and where it matters most—at the tailgate or in the backyard—only Weber Sauces & Seasonings can deliver the most mouthwatering flavor.  © Jack Liebl 2018 – Chicago, Ill.